"contribute to the overall well being of many through the practice of basket weaving"
I have been weaving Cherokee double wall baskets for many many years. It started a year before my Mother's passing. 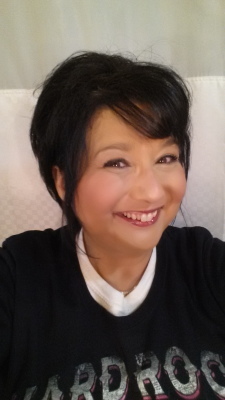 I needed a hobby that would soothe my soul, sing to my heart, and to share with my inner circle. 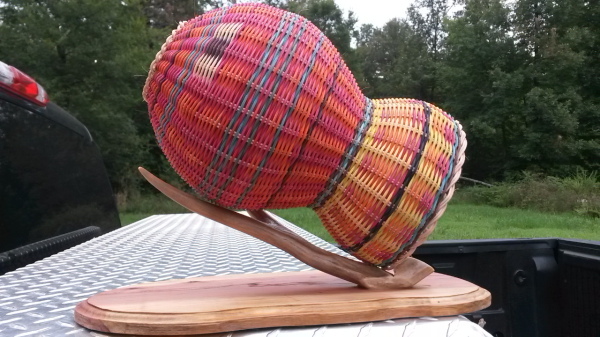 It took me one year to finish my first basket. I let it lay on a shelf unfinished and couldn't pick it back up. I would see my teacher constantly in the communities and her first words to me were "Did you finish your basket?" It took my drive plus her conviction to pick the basket back up and finish it so I could tell her yes. When I did see her again and she asked the question, I proudly smiled and said a big yes! She leaned in and said "weave another one and then teach." I took her wisdom and pursued her wisdom for my life. It was very pivotal. I have baskets sold internationally and in the United States. 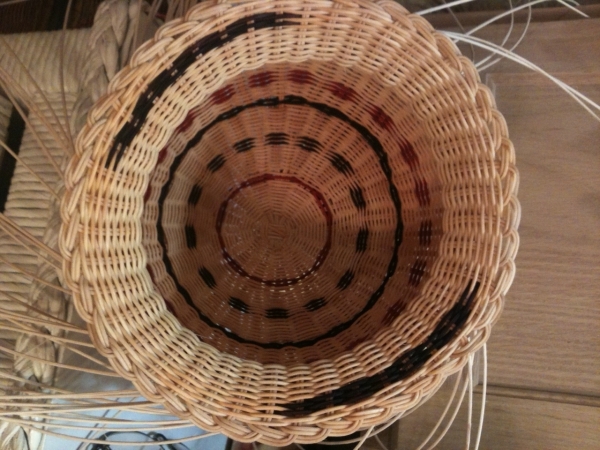 I have weaved thousands of Cherokee double wall baskets. I have taught in communities, at family reunions, schools, and in my workplace. 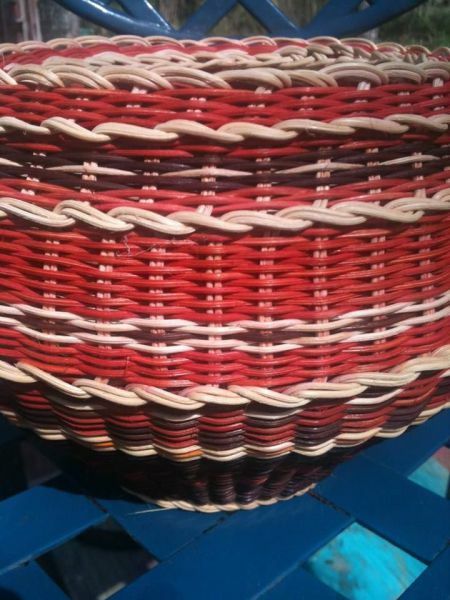 I may have learned a lot from weaving a second basket but I learned more by teaching. 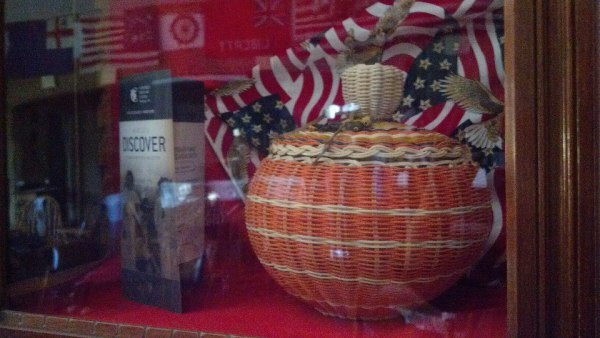 My baskets are preserved in museums so many can learn from my Cherokee culture. My baskets are only made with a good night's rest, a hearty meal and my prayer time. Each one is woven with my conversations with my God. They are blessed and so will be your life. They each have a unique story that is a story, a song, or a profound statement. It is my way of preserving my culture. Wado is the Cherokee way of saying thank you. It is pronounced Wah doe. The forced relocation of fifteen thousand Cherokee to Oklahoma nearly two centuries ago left them in a foreign landscape. Coping with loss and new economic challenges, the Chero​kee united under a new constitution and exploited the Victorian affinity for decorative crafts. Cherokee women had always created patterned baskets for everyday use and trade, and soon their practical work became lucrative items of beauty. Adapting the tradition to the new land, the industrious weavers transformed Oklahoma’s vast natural resources into art that aided their survival. The Civil War found the Cherokee again in jeopardy, but resilient, they persevered and still thrive today. Author and Cherokee citizen Karen Coody Cooper presents the story of this beautiful legacy. I am mentioned in the book! Click on any picture to see more pictures of my baskets.